KML Chess club and team members play chess for fun and also challenge each other to improve. In doing so, we serve our King. 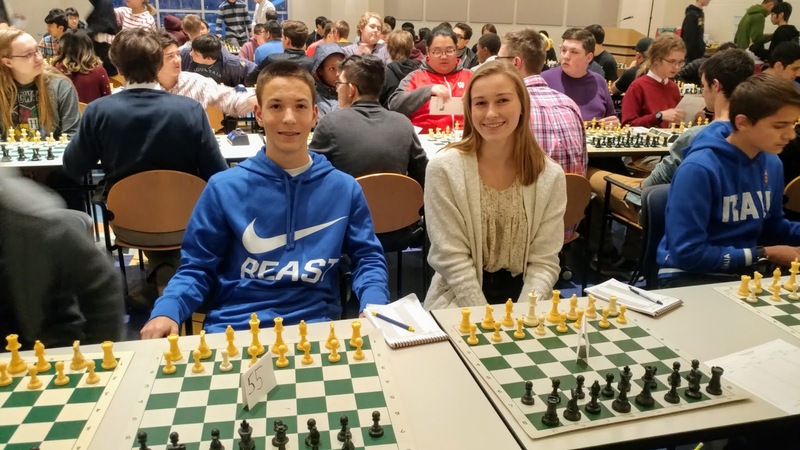 To join us or for more info, email chess@kmlhs.org. SEE YOU AT SUMMER CHESS CAMP AT KML, JUNE 10-13! Visit www.kmlhs.org to learn more and register. KML's varsity chess team was seeded in Division 2 this year. Freshman Ryan Wirkkula earned the Board 1 spot, followed by senior Josh Weber on Board 2, senior Ben Polheber on Board 3, freshman Kimberly Schill on Board 4, and junior Max Banner on Board 5. The team won two of their five matches on the weekend, finishing in 8th place. KML also had three players in the junior varsity section: freshman Emmie Lechmaier, junior Maddie Lechmaier, and junior Eric Rodell. Eric only played on Saturday due to the KML Band & Choir trip. He won three of his games on Saturday, which meant he brought home a medal. Despite being short-handed, the JV team managed to finish 9th. Under the leadership of our two seniors, these young players grew a lot through the State experience and will come back hungry to win next year. "I learned..." was the theme of the weekend, as well as building mental toughness and the determination to come back after a tough game. Special thanks to KML alum Dylan Schulz for helping out on the weekend. The Chargers have steadily improved this season, earning rating points and building point-scoring ability as a team through higher ratings. We are now preparing for the state meet, March 23-24 in Oshkosh. Maddie and Ryan on boards 7 and 9. For young chess players in grades K-8, the St. Lucas Chess Tournament in Kewaskum was a great opportunity to see what it is like to play chess competitively, complete with time controls, a pre-game handshake with your opponent, and trophies/medals awarded at the end. At these events, many beginner-level players learn that you don't win every game, and it's how you learn from your mistakes and come back to the board that determines what kind of player you will be. Isn't that true for all things in life? 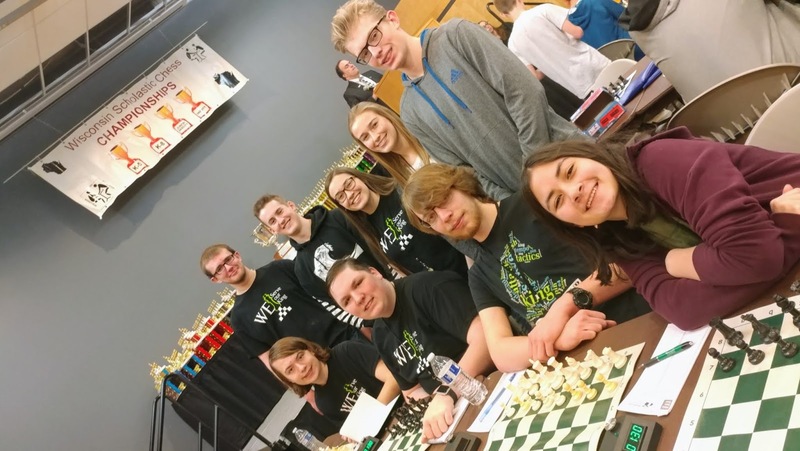 For high school players, this year's St. Lucas tourney served as the site of the annual match-up between Kewaskum High School Chess and KML Chess. The teams have had a friendly Washington County rivalry going for the last few years. This year, St. Lucas got the best of KML, scoring 12 points to KML's 9 points in four rounds of play. Senior Ben Polheber came in third overall for the day, winning 3 of his 4 games. 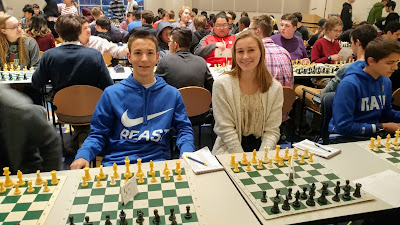 The Wisconsin Scholastic Chess Federation ran the event. Thank you to all the volunteers at St. Lucas Lutheran School for hosting! Our team of six Charger chess players scored five wins at the January 10 meet at University School Milwaukee. The meet included a strong field of 11 teams with highly rated players with high point-scoring abilities for their team. So even with five wins, the Chargers came in 8th. We're happy with that finish because it means our players are taking care of business. Each win means a rating boost for a player, and each meet offers an opportunity to improve. Wins came from Josh Weber, Ben Polheber, Kimberly Schill, Ben Klemp, and 7th Grader Ian Janz. Ryan Wirkkula is currently KML's highest rated player and was unable to come up with a win this time. 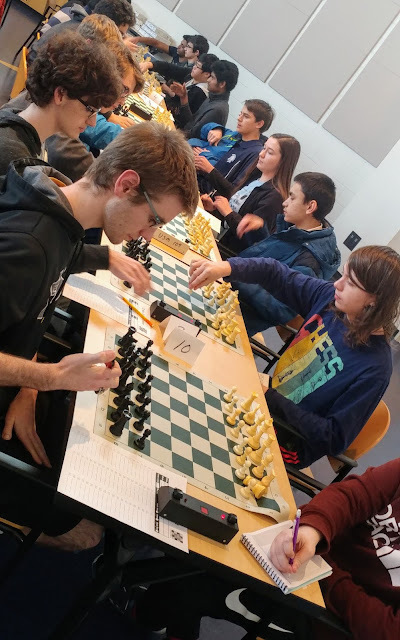 The Chargers are preparing for the state chess meet in March, when all teams will be seeded in divisions according to ratings. 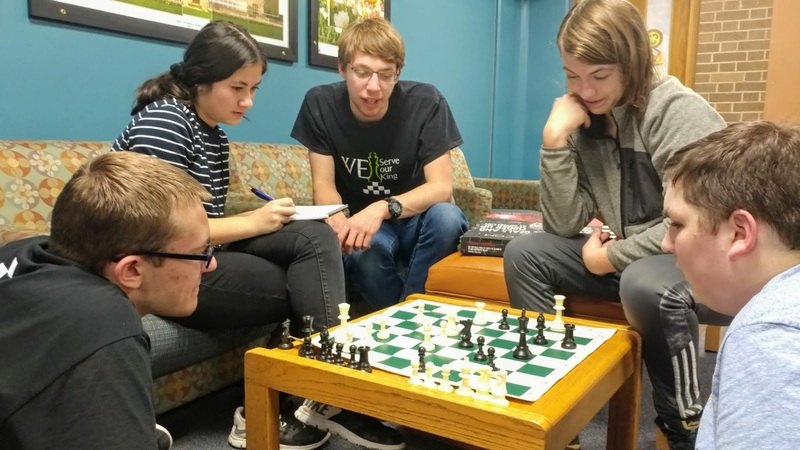 KML players took care of business at Thursday’s chess meet at University School Milwaukee with four of six players winning their matches. KML scored wins from senior Josh Weber, junior Madelyn Lechmaier, and freshmen Ryan Wirkkula and Noah Kreis. 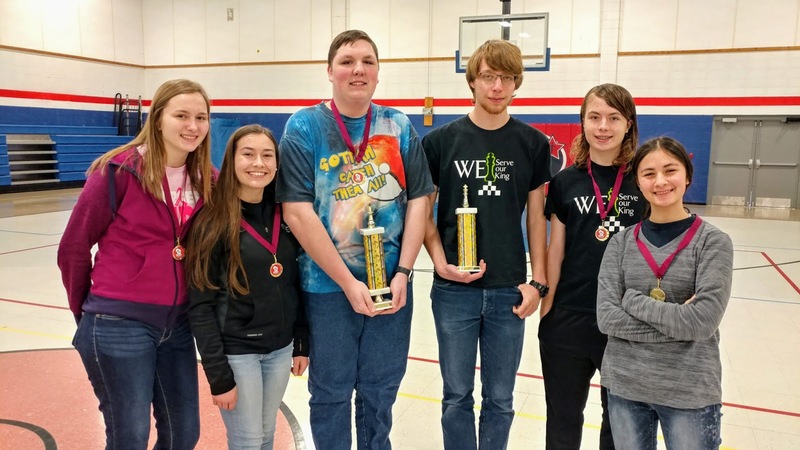 To climb in the standings at a multi-school meet, KML players will need to continue winning and improving their US Chess ratings. Experienced players who have built higher ratings have greater point-scoring ability for their school. KML’s young team (with four freshmen) did what they needed to do – and they all took notation so we can go over games and improve. 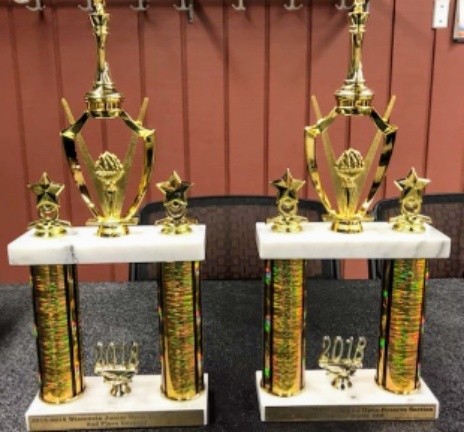 Five KML players gained valuable experience and finished strong at the Wisconsin Junior Open last weekend. 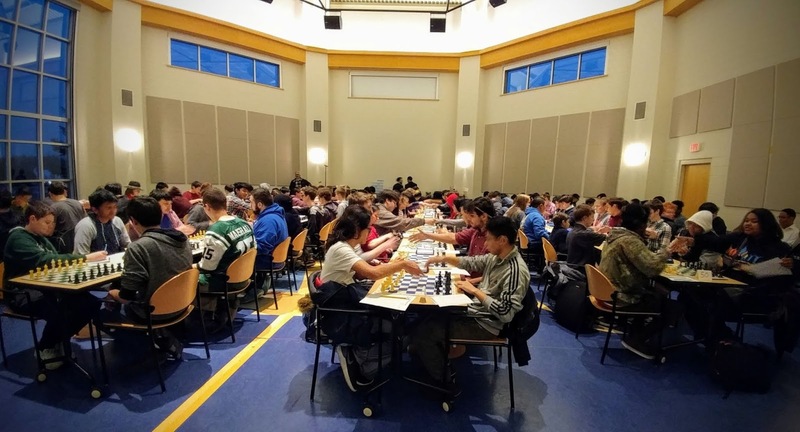 There were 231 chess players and five rounds at this event held at UW-Oshkosh. Ryan Wirkkula: 4 wins in 5 rounds, placed 9th of 84 in the Reserve section and 2nd for all unrated players in that section. Ben Polheber: 3 wins in 5 rounds, placed 33rd of 84 in the Reserve Section. Josh Weber: 3 wins in 5 rounds, placed 34th of 84 in the Reserve Section and 2nd for all players in the 300 rating class. Eric Rodell: 2.5 wins in 5 rounds – that .5 came when he took a bye in Round 3 to perform with KML Echoes, using his many talents this weekend! Kimberly Schill: 3 wins in 5 rounds, placed 9th of 21 in the Beginners Section. Most importantly, all of our players took notation, so they were able to go over their games and improve. Huge shout-out to KML alumnus Dylan Schulz who hung out with our team this weekend and provided valuable encouragement. Ryan and Josh bring home some hardware. A "woulda-coulda-shoulda" discussion as teammates go over games at the end of the day.